Were you injured in an automobile crash? 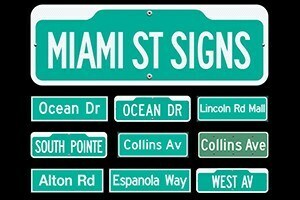 If you had a car accident in Miami, you know the drill. And our Miami personal injury attorneys at Wolfson Law Firm, LLP see what folks go through. But if you are a crash victim for the first time, it’s too unbelievable to be true. You wait at the scene for what seems like hours. When the police come, folks lie about what happened when it wasn’t even your fault. If you get knocked out, fire rescue takes you to the hospital or you are sitting on the curb in pain. The other driver gets to talk to the police first because you were sitting in the hospital or the sidewalk with your head in your hands. If the car was smashed up, then off to the tow yard it goes. And some Miami tow company charges to get it there and store it at the yard. If you could drive home, then you have to worry about who is going to fix your car – your insurance company or the person who hit you? The worst part is you are hurt, mad, and may never be the same. It could be a sore neck, broken leg that they had to operate on, a torn muscle, aching shoulder, or banged up knee. And no matter how tough you are, driving again in the same situation that the crash happened in is hard. If it was a highway accident, you get anxious when you think you might have to take that route again. Or maybe you have not even driven again since the wreck. All because someone broke the driving safety rules of the road. The impact of these accidents that folks overlook is the emotional side. There is an impact on you from the injuries. But there is also an emotional to dealing with being wronged and having to navigate paperwork and things you don’t know and may not understand. But you don’t have to go through this alone. At Wolfson Law Firm, LLP, our Miami car accident lawyers have seen and experienced all of this happen to our clients so very many times. With us you will get to meet with your Miami car accident lawyer one on one and as many times as you want. Our auto accident attorneys will use their experience to answer your questions about your injury over the phone when you call. And the rest of this page has some good information about car accidents if you are our client already or just had a crash. You have to show both fault and damages to have a case. If you are not hurt, you do not have a personal injury case. In a rear end crash, the person who does the rear ending is usually at fault. If someone turned left in front of you, the crash is usually their fault. You need a doctor to say that your injury meets a “threshold” to recover – that it is permanent within a reasonable degree of certainty. Broken bones, surgeries, herniated disks, meniscal tears, tendon ruptures, and rotator cuff tears are some examples of permanent injuries. If you get all better you do not have a case for pain and suffering. Scarring that is significantly disfiguring is recoverable. Crashes causing wrongful death must be filed within 2 years of the accident. Crashes with injuries besides death must be filed within 4 years of the accident. An uninsured motorist claim must be filed within 5 years of the accident. You need a doctor’s testimony that you have a permanent injury to get pain and suffering damages. Accidents can raise your rates but why did you buy insurance if you don’t use it? You bought your insurance for a reason so use it if you are hurt. Your own insurance will fix your car quicker than the person who hit you. If the other side’s insurance company drops a check off early for the whole policy amount, it means it was probably a serious crash. They are trying to avoid being in bad faith and being exposed financially for even more than their policy. So call a Miami car accident attorney. Just because you have had other car accidents does not mean that you cannot bring a case. Lots of times, your injuries can be separated from one crash to another. But even if you have had the same injury before, that does not mean you cannot bring a case either. The law allows you to recover for a permanent aggravation of a preexisting condition. The Miami car accident lawyers at Wolfson Law Firm, LLP have over 60 years of collective experience in representing Miami automobile accident injury victims and obtaining verdicts and settlements. We will handle your car accident case from beginning on the day of the crash to the end whether that is settlement, verdict, or a ruling on appeal. We will investigate, coordinate, litigate, try, and appeal your case if needed. We will fight to get you the compensation you deserve. Call us for a free case evaluation at (305)285-1115. 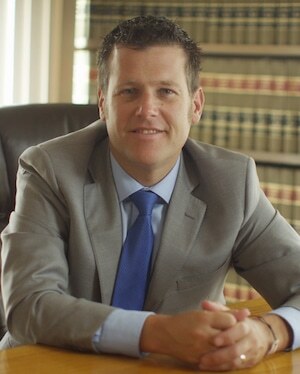 Jonah Wolfson is a bilingual personal injury lawyer in Miami. If our Miami car accident attorneys at Wolfson Law Firm, LLP don’t get any money from anyone, you do not have to pay anything! Call and ask us about our experience and results. The Wolfson Law Firm Personal Injury Lawyers serve injury clients in Miami, Broward, Palm Beach counties as well as Miami Gardens, Allapattah, Westchester, The Roads, Miami Beach, Aventura, Hollywood, Lauderdale Lakes, Deerfield Beach, Boca Raton, Miami International Airport and all of the communities and neighborhoods of South Florida.